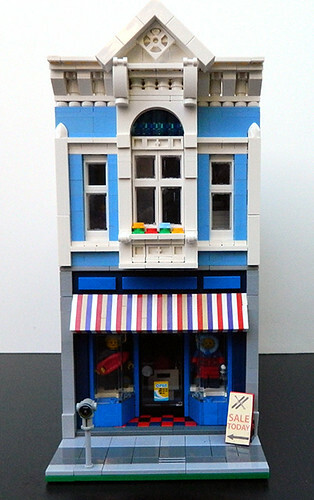 My latest modular is a Surf & Ski Shop with a Travel Agency upstairs. Finally, next to my Kitchen Store for size comparison. Love the front window. Very clever. I hadn't thought of that before. I may have to borrow that technique (credit due of course). The other details work quite well as well. I like the round plates toward the top a lot. I really like the parking meter. I can't figure out what the very top was made of though. Hey, that's a nice design to get angled windows with no gaps! Good job on the building overall, looks simple but attractive. The interior themes work well, too. That's very tidy. Nicely done! As others have mentioned, the main entrance is especially tidy. Always striking to see angles other than 90 degrees. Do you mean the top of the parking meter? It's a Technic Catch w. Cross Hole (4107800) on top of a Light Sword Blade, with a Connector Peg w. Knob inside. What a lovely modular. 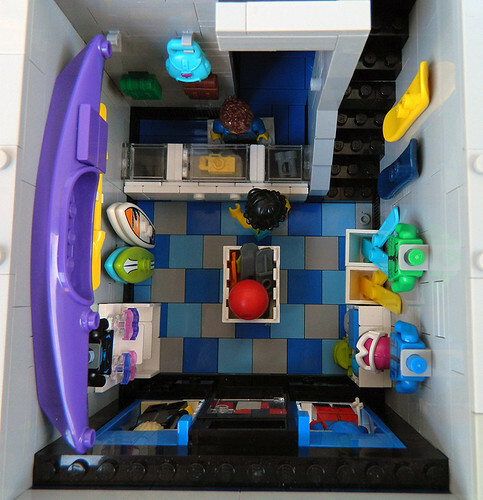 That storefront is fantastic especially the windows and entrance, very clean and elegant facade and great details all over (technic parking meter, backpacks connected flush to the wall, travel brochure shelf all fantastic). The Kitchen Store is wonderful as well. Awesome building and great MOCs! Looks very good. Welcoming and friendly on the outside (and very authentic) and the interior is just perfect. Very spot on. 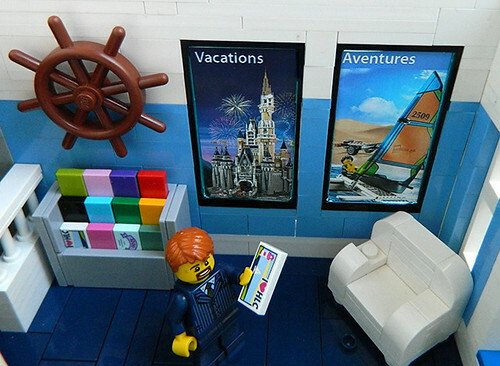 I especially like the shelf with travel brochures - such a simple and effective solution! Hi, the top piece is actually 3651 Technic, Axle and Pin Connector (from Bricklink) You can see it has a stud on each side in the picture. An old piece only in light gray. I found it. 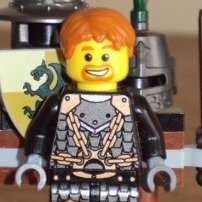 I hadn't seen that piece before (although I own some in my old LEGO. I just haven't seen it in 20+ years). I saw the little knobs on each side, so I knew that other technic connector wasn't right, but has a similar base. Either way, smart thinking. I will have to dig mine out and set them up throughout the city. You really are a master of 16wide builds and this one proves it again. Everything ist perfectly balanced and not a single brick looks like it should not be there. Love the shop entrance, great idea to angle the windows left & right of it. 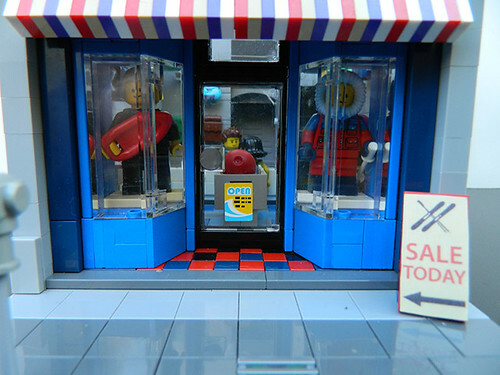 Seen shop entrances like that a hundred times in real life, but it never occurred to me in Lego. I love your modulars very much! They are so cheerful! The angled windows are fantastic. Nice how you came up with another variation for your 16-wide modulars. I'm not a fan of decals, but you made some nice ones! 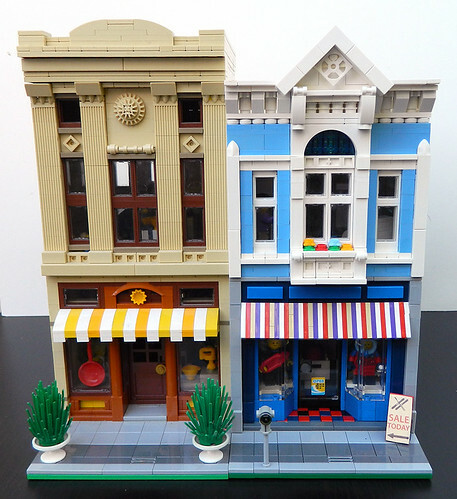 Awesome 16 wide 2-in-1 modular, Brick On 'eliza' ! Thanks for the great comments everyone! It was tricky working out the angled windows for the 16 wide format. For those interested in technique, the windshields work really well - with more design flexibility - with larger window pieces. Here's a storefront "sketch" I made while working out the details for the shop. Don't know if this one will every be a modular. Yeah, I have some old space and technic pieces (80s and 90s) in my collection. 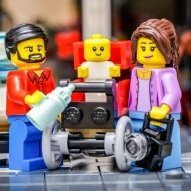 Isn't that one of the great things about Lego? Those old pieces are still completely compatible. 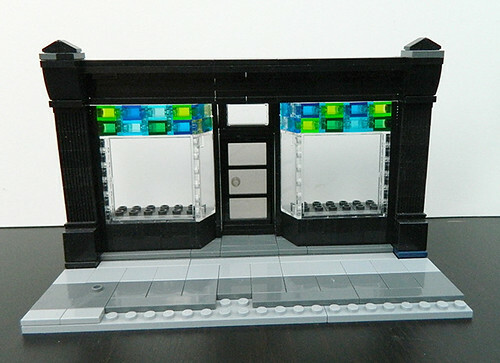 Beautiful modular with a clever front window! I'm not so fond of the red and blue colour combination of entrance but I have to say that it works quite well next to your other modular The interior is spot-on as always. You have a very distinctive clean building style that I like very much! Great façade, fits in perfectly with the rest of your buildings, both style-wise and size-wise. The blue is a refreshing change from the "normal" modular colours. Favourite bits: The travel agency and the entrance. Very like the entrance design!